the nytpicker: NYT Hypocrisy: Freelancer Gets Editor's Note For Lifting The Word "Nuzzled," While Maureen Dowd Gets Correction For Plagiarism. 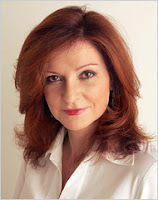 NYT Hypocrisy: Freelancer Gets Editor's Note For Lifting The Word "Nuzzled," While Maureen Dowd Gets Correction For Plagiarism. "The Times does not allow writers to replicate language without attribution." Those words appear in a NYT Editor's Note this morning, holding a freelance writer accountable for an "unwitting" lift from another writer's email in last Sunday's NYT Magazine cover story on whales. But those words apply equally to NYT columnist Maureen Dowd, who replicated language from a friend's email -- which turned out to be plagiarized -- without attribution in her May 13 column. Yet her clear violation of that NYT policy has continued to go unaddressed by the NYT. The NYT's double-standard in protecting Dowd on recent charges of plagiarism were never clearer than in this morning's Editor's Note -- putting freelance writer Charles Siebert out to dry for appropriating a handful of descriptive words from a source's email in his 7,498-word account of the way whales may be communicating with humans. Sunday Magazine cover story on whales. Siebert -- a successful author who has written several cover stories for the NYT Magazine, with particular emphasis on animals -- claims his mistake was "unwitting." Dowd called hers "inadvertant." Why does Dowd's explanation take her off the hook, while Siebert gets punished with an extensive editor's note? Two months after lifting the contents on an entire email from a friend and putting it in her May 17 column -- learning later that the passage had been plagiarized from blogger Josh Marshall -- Dowd has never explained those events to readers, or had them addressed in any form other than a brief, benign next-day correction. Since then, Dowd and NYT officials have repeatedly ignored requests from The NYTPicker for comment on whether the paper conducted any internal investigation into Dowd's actions, to determine the truth of her flimsy account. In Siebert's Sunday magazine cover story last week -- an emotionally wrenching, beautifully done report on the way whales may communicate with humans -- the NYT Magazine contributing writer recounted, in his two final paragraphs, an incident in December 2005 involving the rescue of a humpback whale. In that passage, Siebert made clear from the start that he wasn't an eyewitness to the event. "As Beto spoke," he wrote in transition to his final anecdote, "I thought of another bit of interspecies cooperation involving humpbacks that I recently read about." What follows is an eight-sentence summary of the incident, drawn from multiple sources including a December 14, 2005 article in the San Francisco Chronicle, and -- according to today's Editor's Note -- "an email mesage that circulated widely after the incident." The NYT gives no further information about the email's author, or how it circulated. Specifically, the lines that the whale swam "in joyous circles" after it was freed and "nudged" the divers gently, "as if in thanks"; that the divers thought it was "the most beautiful experience they ever had"; and that one diver said he would "never be the same" appeared in the email message , which was sent to The Times's writer, Charles Siebert, in the course of his reporting. Mr. Siebert read several accounts if the episode, including on published in thr San Francisco Chronicle in December 2005 on which he based his retelling." A female humpback was spotted in December 2005 east of the Farallon Islands, just off the coast of San Francisco. She was entangled in a web of crab-trap lines, hundreds of yards of nylon rope that had become wrapped around her mouth, torso and tail, the weight of the traps causing her to struggle to stay afloat. A rescue team arrived within a few hours and decided that the only way to save her was to dive in and cut her loose. For an hour they cut at the lines and rope with curved knives, all the while trying to steer clear of a tail they knew could kill them with one swipe. When the whale was finally freed, the divers said, she swam around them for a time in what appeared to be joyous circles. She then came back and visited with each one of them, nudging them all gently, as if in thanks. The divers said it was the most beautiful experience they ever had. As for the diver who cut free the rope that was entangled in the whale’s mouth, her huge eye was following him the entire time, and he said that he will never be the same. It felt to me like it was thanking us, knowing that it was free and that we had helped it," James Moskito, one of the rescue divers, said Tuesday. "It stopped about a foot away from me, pushed me around a little bit and had some fun." From reading the Chronicle story, it appears clear that most of the descriptions cited by the NYT were, essentially, repetitions of facts from the incident: the recuers used curved knives, the whale swam in circles, and it nuzzled each diver in what appeared to be a gesture of thanks. Without access to the email, readers can't determine the exact nature of Siebert's supposed lifting of language. But using the Chronicle story as a secondary reference, it appears that the use of the words "joyous," "as if in thanks" and "most beautiful experience they ever had" represent the sum total of Siebert's sin -- words that already bear a strong similarity to the Chronicle story. Did the email writer observe the incident first hand, or do his own massaging of the Chronicle version? The NYT doesn't say. We're not condoning Siebert's actions in passing off the language of another writer as his own. Siebert explains that he "unwittingly incorporated" the phrasing from the email, but that doesn't make it any less a violation of the rules. Nor does Dowd's explanation -- that she was lifting the contents of an email she believed written by a friend, and not plagiarized from a blogger -- excuse what is clearly a violation of the same NYT rule that resulted in Siebert's Editor's Note today. That's a double standard that severely undercuts the credibility of the NYT. The benefits of full time employment at the Times extend far beyond medical coverage and time off.